Although Chlorella is a very simple life form, it is an excellent source of nutrition. Chlorella is an algae that grows in water and is one of the few edible water-grown algae in the world. Chlorella is also one of the world’s oldest food sources, used for thousands of years in Japan as a source of nourishment. Chlorella contains a large amount of chlorophyll, antioxidants, phytonutrients, vitamins and trace minerals, including magnesium, amino acids, beta-carotene, B vitamins, vitamin C and vitamin E. This high concentration of nutrients has allowed it to adapt to extreme environments throughout its long history. Chlorella has the ability to grow extremely fast. Chlorella is in fact one of the fastest growing plants on earth. The reason for this is the plant’s Chlorella Growth Factor, which makes it quadruple in quantity every 20 hours. Chlorella Growth Factor consists of glycoproteins, B vitamins, amino acids, and many other nutrients. These nutrients, when consumed, work together to help the growth, healing and repair of tissues in the body. 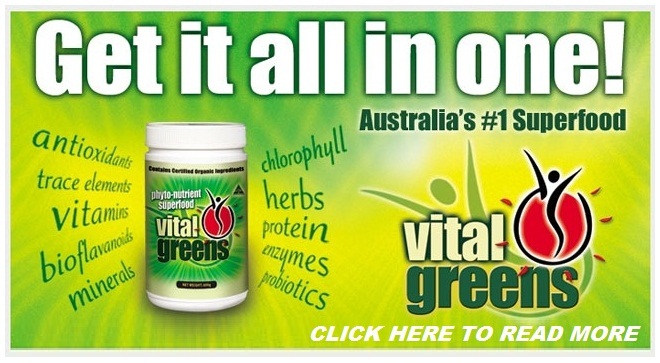 Many health experts have proclaimed that Chlorella Growth Factor is one of the healthiest substances we know of today. Chlorella Growth Factor is wonderful for children. Studies have shown Chlorella Growth Factor aids in the physical, mental and emotional development of children of all ages. The primary use of Chlorella is to detoxify the body. Chlorella is a powerful cleanser by linking up to toxins and then omitting them from your body. Chlorella excels at cleansing the body of heavy metals like nickel, aluminum, mercury and lead. There have been several studies done that prove it cleanses the body of heavy metals and prevents heavy metal poisoning. 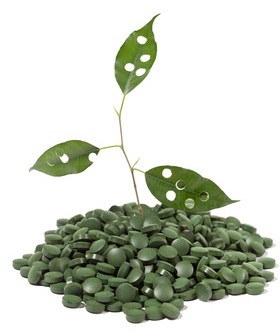 Sporopollenin, a component in Chlorella, helps eliminate toxic debris. In fact, sporopollenin eliminates toxins better than any natural substance in the world. It therefore helps remove the chances of toxin-based diseases such as lyme disease, tetanus toxins, tuberculosis and diseases from exposure to mold. Chlorella helps the body to eliminate toxins such as dioxins, phylates, xenobiotics, pesticides and indusrial waste. Chlorella also works to detoxify the body naturally as a result of glutathione. Glutathione is a substance that renews the antioxidant abilities of vitamin C and E, while removing free radicals. Chlorella also provides GLA (gamma-linolenic acid) – an essential fatty acid, zinc and other nutrient properties that help battle toxins and help increase the strength of cell membranes. Chlorella has a high concentration of pure chlorophyll, the green pigment that makes plants green. Chlorophyll helps cleanse the body of harmful toxins and increases the amount of agents that purify the body of toxins. It is also an excellent alkalizing substance. The body’s ability to use oxygen increases with chlorophyll, whilst molds and pollutants are eliminated with chlorophyll. The PPAR receptor is activated when chlorophyll enters the body. The PPAR receptor helps code and transcribe different DNA areas, opening the cell membrane. This results in insulin resistance increasing and detoxification increasing. Minerals. Chlorella is packed with a high concentrations of magnesium, leading to improved heart health, nervous system health and relaxation. Magnesium also improves blood sugar levels, similar to most dark vegetables. Chlorella also contains calcium, iron and potassium. Heart Disease. Chlorella can improve triglyceride and LDL cholesterol levels and help strengthen the level of antioxidant properties in the body. This helps improve protection against heart disease. Amino Acids. The amino acids in Chlorella help rebuild lean tissues in the body, while increasing neurotransmitters. Chlorella is a rich source of protein, with a strong balance of amino acids, strengthening the body and working to increase overall body health. Vitamins. Chlorella is full of vitamins such as A, B1, B2, B6, B12, C and E. It beats out those manufactured alternatives because it provides all these vitamins packed into one superior whole-food sourced formula. Unfortunately, B12 is is not included, so you should always find other sources of B12 to maintain a well-balanced diet. Chlorophyll. This is a green pigment included in Chlorella that improves alkalinity, inflammation and immunity. It gives Chlorella its green color and can even diminish bad breath. Diabetes. Improving blood sugar levels and insulin sensitivity, Chlorella prevents the chances of getting diabetes. Digestion. Chlorella promotes the production of good bacteria, probiotics and intestinal flora, which help the digestive system work properly. Overall health increases when the digestive system works properly. Chlorella can also fight candid and yeast overgrowth. Energy. When taking Chlorella, most people report increased energy and improved moods. Detoxification. It is difficult to avoid the toxins that come with living in our world. When you wake up, go to school or work, eat or whatever activity you do, there will always be a risk of absorbing toxins. Chlorella has an amazing ability to bind with toxins and remove them from the body. Some toxins that can be removed include heavy metals and chemicals. This makes a huge impact on the health of your body and increases overall health. Fibromyalgia. Chlorella decreases pain that can be associated with fibromyalgia. Several studies show that people who took 10 grams of Chlorella noticed and increased quality of life and decreased severity of symptoms. Obesity. Chlorella also has been known to reduce body fat. The reason for this is because Chlorella helps regulate metabolism and improve insulin sensitivity. Food cravings also go away when the body is nourished, which Chlorella does wonderfully. You should take it without any binding agents or additives. Tablets can also be used, as long as you occasionally work the powder form into your regiment. Always look for broken cell wall Chlorella, which makes it more digestible. We recommend taking a dose of 3-6 grams every day. You can always increase the dosage in order to fight degenerative conditions or detox for heavy metals. The maximum dosage of Chlorella is typically 20-30 grams per day. Since Chlorella is a whole, natural superfood, it is generally safe to consume in large doses. Start with as little as 500mg of Chlorella per day and then increase as needed. Many people find it easier to digest Chlorella and adapt to the supplement when slowly starting a regiment. Caution: Do not use Chlorella if you are using anticoagulant drugs such a warfarin.